Home Mainstream What Happened to Local Multiplayer? What Happened to Local Multiplayer? I have a lot of fond memories of getting friends together and playing video games. With Mario Kart 8 recently released, it was the perfect opportunity to call up some of my buddies and throw shells at each other. In the midst of all the fun and chaos, though, I realized that this experience was almost entirely limited to Nintendo consoles. After unlocking all of the tracks, we hopped over to Nintendoland and exhausted the competitive multiplayer mini games for the umpteenth time. Even though we have played enough to have unlocked everything, we are still drawn to it both because of the unique experience we can have with it and how easy it is to get everyone to play. Online multiplayer is sort of a novelty for us because it is hardly as engaging an experience as those special occasions where we get together. 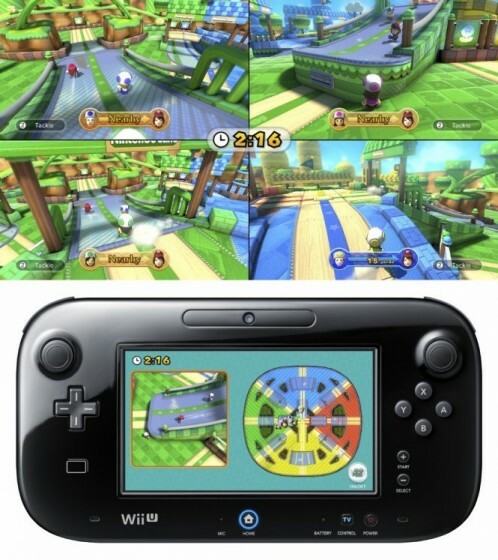 Amongst my friends, Mario Chase is easily the most popular choice of these minigames. Its total lack of barrier-to-entry means it is accessible to everyone, even those who have almost no experience playing video games. It is the exact same quality that made the original Wii so appealing and this is just one many of the Wii U’s unfortunate circumstances. On the other hand, though, Nintendo is the only one catering to this experience. Online multiplayer is certainly important but I sort of doubt that it could ever replicate the same sort of sensation that crowding around the TV and yelling at each other through the laughter brings. 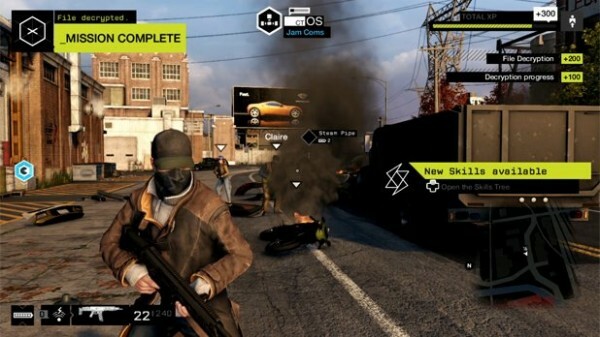 Once the party had winded down considerably, the remaining guests wanted a change of pace and were curious about Watch Dogs, but we ended up just crashing cars and motorcycles for an hour while passing the controller around. It was funny, sure, but I can’t help but feel that doing the same thing simultaneously would have been a more memorable experience. The beauty of Nintendo games is in their accessibility, because I have a feeling that Watch Dogs control scheme would have been too difficult for some of the newer players in our party to grasp whereas Mario Chase is really just two buttons at the most. This can definitely be a double-edged swords of sorts, especially when it comes to their single player endeavors, but their party games have this phenomenally universal appeal that all but the biggest of grouches can find some enjoyment in. Everyone that was part of our Mario Kart 8 rotation was able to pick up the game pretty quickly and while they may not have been taking first place they were doing considerably well for themselves, even the less experienced of us. 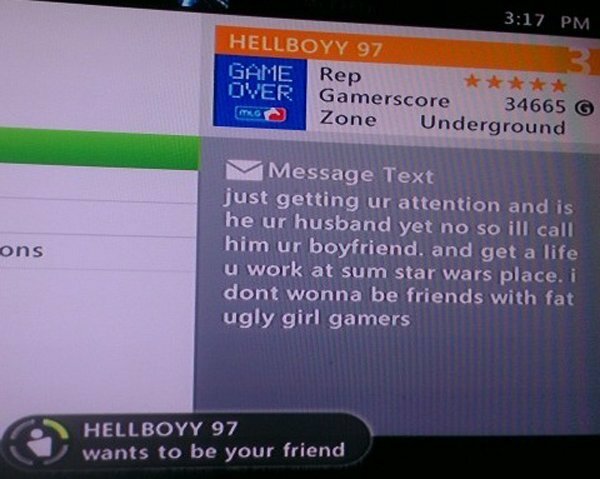 Gaming, like most “nerd” hobbies, used to be this sort of condemnable act that only a select few would really enjoy to any meaningful degree. Now that it is becoming more and more popular, I think it is tragically ironic that local multiplayer is rarely integrated. It obviously has not just disappeared from gaming, so I find it curious that it is not as common as it could be while online multiplayer is, most of the time, an expectation. Watch Dogs has a pretty respectable array of online multiplayer modes yet nothing for local multiplayer. 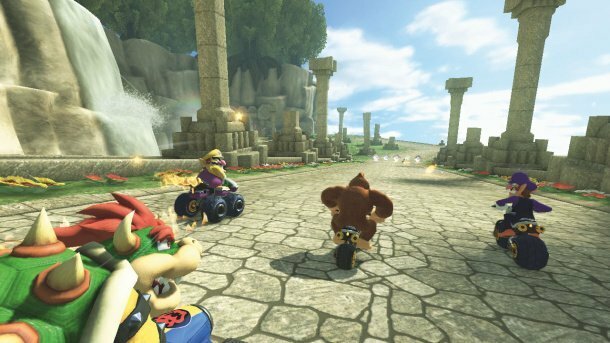 It begs the question: why has local multiplayer almost all but disappeared? Is there a weird catch 22 wherein graphical fidelity is sacrificed so it is not worth the risk and if they did implement a split-screen mode, would it be so limited that it is essentially a throwaway mode? Are games just too detailed to effectively sacrifice any of the screen? We have had experiences like this with Sonic and All Stars Racing Transformed where everything sort of blurred together into bright flashing lights and everyone getting confused so I suppose it is definitely possible. I have heard the argument that online multiplayer is intended to be a replacement but I am not convinced that it ever could be because it lacks that distinctly human element. It is the difference between playing game with your friends and playing a game with your friends. It is an undoubtedly more convenient option because it can be unrealistic to gather enough of your friends where you can really get everyone in on the action. I saw a lot of disappointment that Nintendoland would only have local multiplayer, but that seems like a game that totally defeats the purpose of separating the players. Talking smack to one another and just being obnoxious with each other seems relatively frowned upon in online multiplayer, at least in my experience where the trash talk is frankly sort of deplorable or out and out bizarre. Local multiplayer creates a social experience where the focus is on having fun and the game is sort of ancillary to that end. Online multiplayer, on the other hand, draws the focus towards the game and your skill level. While you could play against your friends online, it is still pretty likely you are playing with people you do not really know. It might still be multiplayer but it is more of a singular and less engaging experience. In my case, the banter we create is part of the experience and I have never had something similar with online multiplayer. Of course, there are tradeoffs for both options. Online multiplayer has to contend with network latency and if someone decides that they do not want to play along then you are sort of stuck. Split-screen multiplayer does not have to deal with these but then there is the issue of a single device’s resources being put into overdrive and divided amongst the players and some pretty serious sacrifices, like a smooth frame rate, might have to be made. Of course, there is the possibility that all players could share the screen like Super Mario 3D World which demands at least a partial level skill of its players. But this has left me sort of interested about the recent emphasis on second screen gameplay as with the Wii U’s sort of muddled effort and the PlayStation 4’s remote play with the PlayStation Vita. I think it is possible that local multiplayer may see a resurgence of sorts even if it is not split-screen. While local multiplayer may have been overshadowed by its online counterpart, it seems very possible that local multiplayer will rise from the ashes in a new form so to speak. 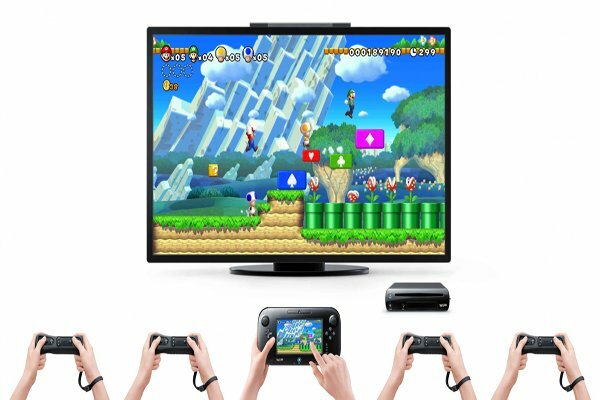 As it stands, Nintendo consoles look to still be the first option for local multiplayer chaos. If that changes in the future, however, there will always be the consoles of yesteryear to remind us of the incredible fun we can have with four people, four controllers, and one screen. I get what your saying, but I think that Local Multi has really disappeared only in the Triple A space. Games like Towerfall, Sportsfriends and soon Nidhogg are great on PS4, and the PC has tons of local multi titles like Samurai Gunn, The Yawgh, Gun Monkey, Super Space _____ and Foiled. You just have to have the four controllers and console which can cost a bit, but after that more fun can be had now than ever before.